There is no overt statement, environmental or otherwise consciously intended in my sculptures. The materials used are generally some of our culture's discards, objects whose dead and useless forms transform themselves into metaphors of the living universe: a flower, a rock formation, a piece of sky...I spend a great deal of time looking at the object and playing with forms, through models and drawings before initiating a piece. As I work, the piece often takes on its own life carrying me along with it to its completion. 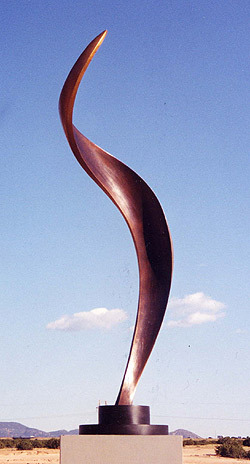 Sculptures are taken one step further through enlargement into welded bronze pieces. 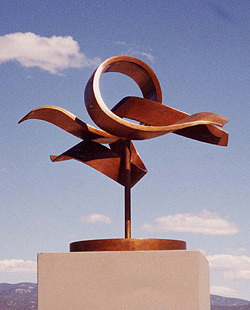 - 2000 Lew Allen Gallery, Santa Fe, NM. - Douglas B. Cornell Jr. Evergreen, CO.